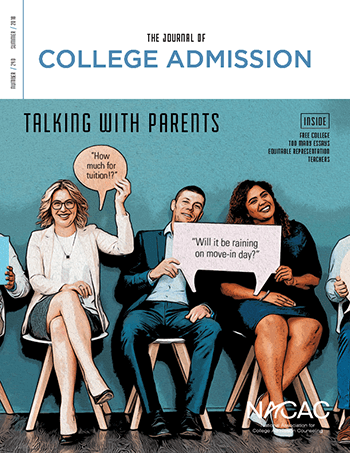 Put your ad in front of 15,000 college admission counseling professionals in print and online (online ads include links to your website). Each issue is open to the public for a limited time and is viewed thousands of times online. View the media kit and contact Emmanuel Tsogas to reserve your space today! Comments on "THE JOURNAL OF COLLEGE ADMISSION"